The Little Tiger's Program is a detailed curriculum for ages 4-6 that focuses on improving preschool-age children's basic motor and listening skills. The curriculum consists of developing eight major skills necessary for participation in any sport or activity. The eight skills emphasized in our program include focus, teamwork, control, balance, memory, discipline, fitness and coordination. Classes at USTA end with group discussions and role-playing exercises. We touch on life lessons and discuss alternate resolutions to some of the issues children face today. Learning taekwondo is a physical and mental endeavor. 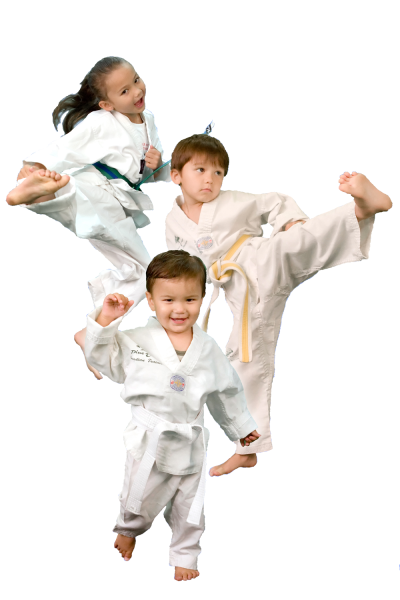 Physically, taekwondo involves all major muscle groups to help your child develop physical strength, agility, and flexbility. But our emphasis goes far beyond just learning physical moves and martial arts techniques. 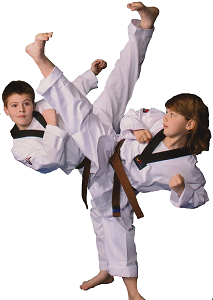 At USTA Martial Arts, we use the lessons of taekwondo to help teach your child to set goals, work in a disciplined manner, and strive for success in their endeavors. A hearty taekwondo education instills equal doses of confidence and humility; it instructs children to treat others with respect, but also to stand up for themselves and what they believe in. Taekwondo is FUN! Unlike going to the gym or working out on your own, Taekwondo workouts are unique, different, and exciting each time you attend. In addition, USTA Martial Arts Instructors are there to provide you with the support, encouragement, and motivation to make sure you attain your goals. They also have a greater peace of mind due to the knowledge and expertise on what to do if faced with a dangerous situation.